to solve the problem before her parents find out and possibly cancel the trip! Other notable productions: Lower Ossington Theatre, 2013; Laguna Playhouse, 2014; Circa ’21, 2014; Aurora Theatre, 2014; Synchronicity Theatre, 2015; Dutch Apple, 2015. Theatrical Rights Worldwide licenses the show. 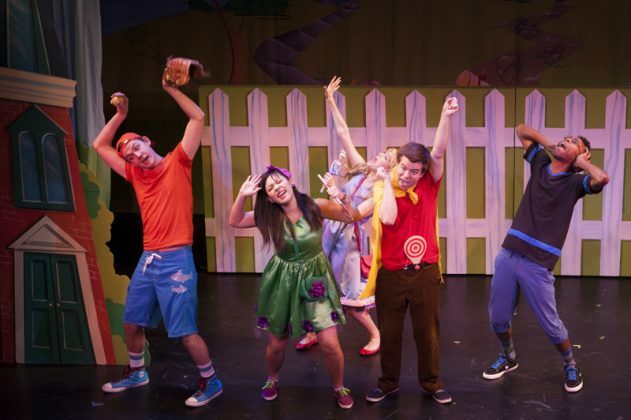 The cast of the Synchronicity/Aurora co-production of StinkyKids (photo by KVC Photography). Lydia Frempong, Alexandra Karr and Kristin Storla from the Synchronicity/Aurora co-production of StinkyKids (photo by KVC Photography). 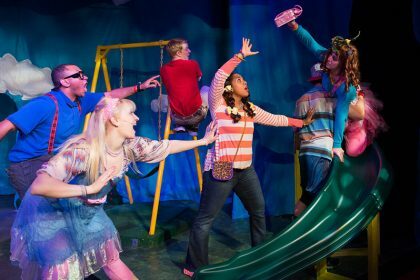 The original cast of the Vital Theatre production of StinkyKids (photo by Steve Rosen). 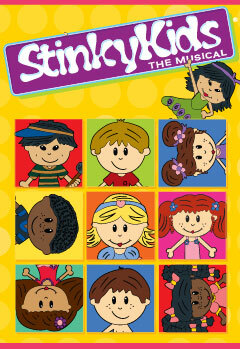 The original cast of the Vital Theatre production of StinkyKids (pahoto by Steve Rosen).